So its day 2 of the Ultra Blog Challenge (UBC) and day 2 of the new year. So far its been good. I'm so thankful and grateful for everything and everyone in my life. I'm just a person, a female, a mom, a wife, a best friend and I don't have everything in the world but, what I do have I am so Grateful for. 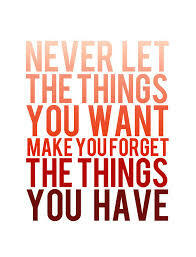 As I've grown up and older I have realized that its not what you have that counts, it what you have and how you appreciate things. Its the people in your life, its how you choose to be and live your life. I'm grateful that I have the chance to sit here and write this as I'm working (pretty slow work day) but, I am very lucky that I can do that. I'm grateful that I live in a country where we are free to do things that others in other places don't have the pleasure of doing. Good morning everyone. I'm trying my hardest this year to do more and help more with things such as donating etc. So with the start of the year why not help some of the great causes such as fighting cancer or violence or helping feed a child? You can help and it doesn't cost you a penny, just a minute of your time, that's it!! Check this out, its called Care2 And again its free and all you do is click to donate to these causes and it helps..
Have a great first weekend of the new year!! Quick exercises for those on the go!! Hey there everyone, I know that for most of us we are always on the go!! No matter if its going with the kids taking them somewhere or going to work or just going out doing errands etc. Well the next time you have a minute check out this blog for some great on the go exercises. They look really cool to me and I'm going to get me a set of them soon and try them out and see how I like it since I always have some reason of why I can't go outside jogging or walking (too cold/too hot etc) so this time I can just exercise in the house and see how that goes. Never knew there was so many things you can do with resistance bands! So for all of us here that absolutely love looking and entering the HGTV Dream Home Sweepstakes, well guess what?? It's here again!! I just saw it/heard about it yesterday I believe and I have already signed up for the daily reminders etc. Starting this year off to an awesome start already!! Already I've gotten some interviews for some new clients to work with which I'm really excited about!! 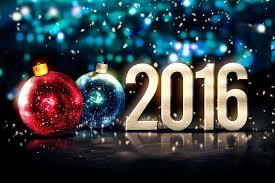 2016 is here!! Happy New Year! 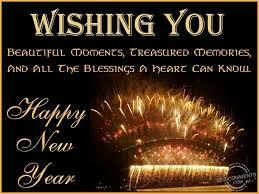 Good evening everyone and welcome to the NEW year!!! I hope that you all are having a great start to the awesome new year of 2016!!! As far as resolutions etc...well I don't really do that anymore so to speak, instead I'm doing goals and I am determined (like last year) to reach them all! !